America Revealed: What Role Did U.S. Play in 2010 Massacre in Jamaica? What Role Did U.S. Play in 2010 Massacre in Jamaica? To what extent, if any, did the U.S. Department of Homeland Security (DHS) participate in the slaughter of scores of Kingston, Jamaica’s, Tivoli Gardens residents on May 24th, 2010? The community was run by drug lord Christopher (Dudus) Coke, a self-proclaimed “president” wanted in the U.S. for drug and firearms trafficking. breached the barricades Coke’s men had erected and gunfire erupted. gunplay were not so lucky. “The New Yorker” article suggests. given to Schwartz by the U.S. State Department and DEA stressed U.S.
“operational decisions” during the incursion. in the Tivoli attack, a figure 40 times as great as the New York P.D. 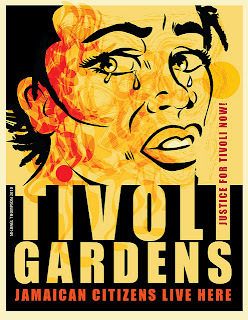 were shot to death on the spot in Tivoli by the police. faces up to 23 years in prison, Schwartz writes. perhaps more closely involved than it has let on. Our contributor, Sherwood Ross, rmanages a Public Relations firm for magazine articles, socio-economic causes, colleges, universities, growing businesses and non-profit organizations. He may contacted at sherwoodross10@gmail.com.